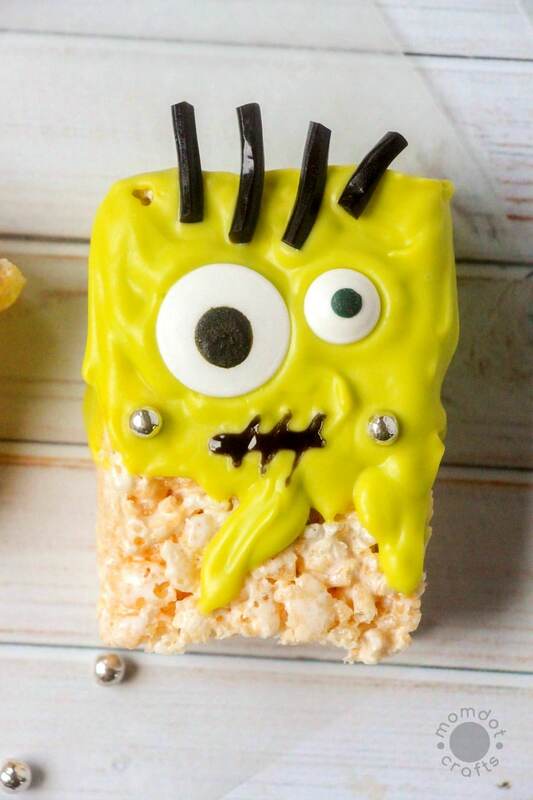 This year I have seen some adorable rice krispie treat ideas. 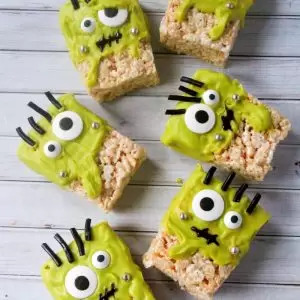 From these adorable fall leaves to these easy pumpkin krispies, you can get your fall rice krispie fix in a variety of shapes and colors. 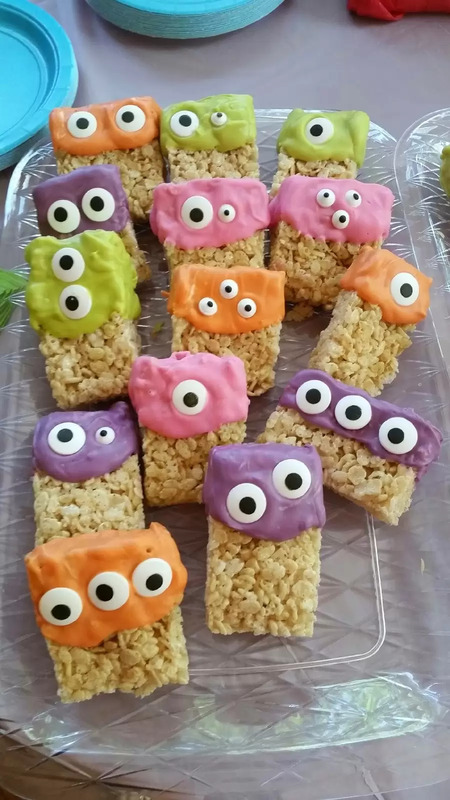 But nothing cracked me up more than these Monster Rice Krispies that I saw. With the bright colors and expressive eyes, I knew it was a treat that we had to spin here on MomDot for Halloween. 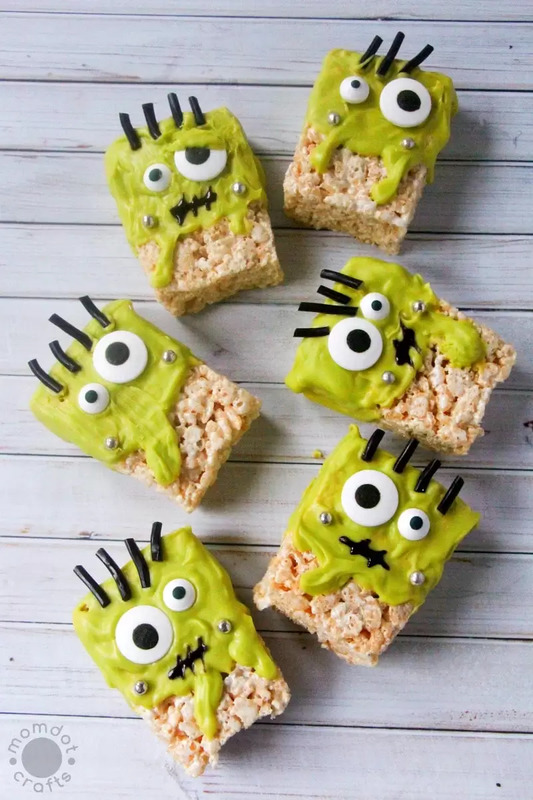 Instead of monsters, we got a little more specific and are inspiring you to make Frankenstein Rice Krispies. 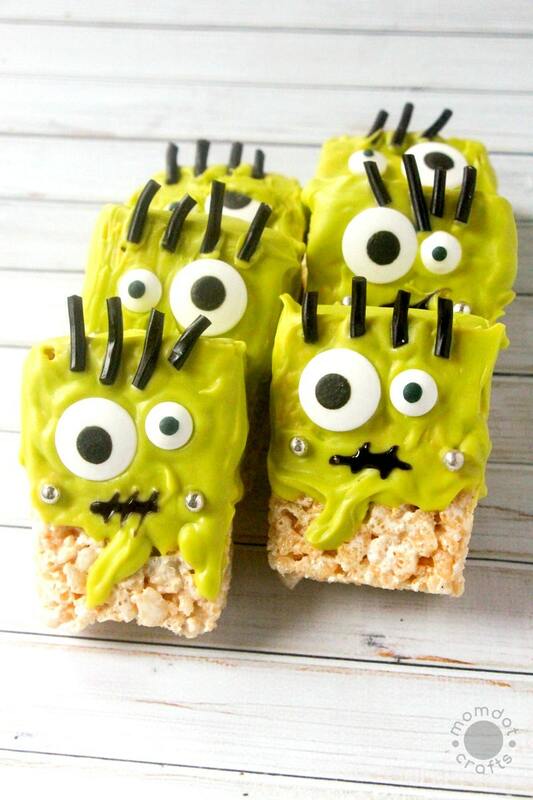 Dipped in candy melt chocolate and decorated like one of Halloweens most iconic and beloved characters, Frankenstein, these rice krispie treats are perfect for a themed party or classroom pass out. Everything you need to get started without the stress of shopping! I love doing mys hopping on Amazon cause no parking, no kids, and no wandering through the stores! Buy what you need here to get started with NO STRESS. Line a cookie sheet with parchment paper to dry the rice krispies on before serving. 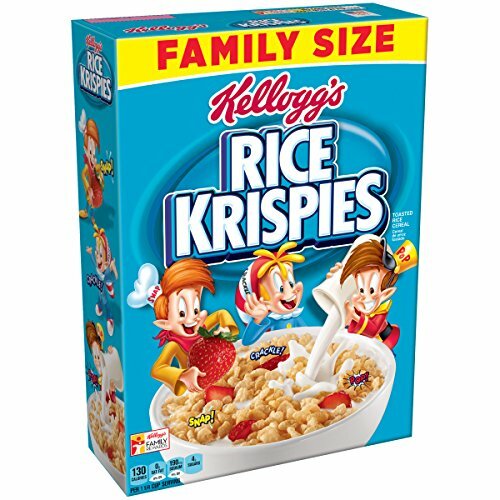 Make or buy rice krispies as you see fit. This recipe is all about the decoration! Melt the candy melts and shortening in a microwave-safe dish for 30 second bursts, stirring well in between each heating. 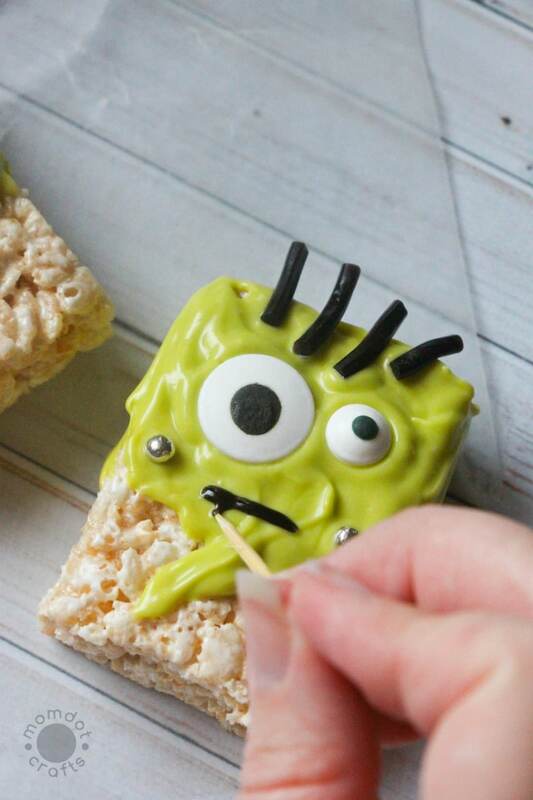 Dip half of each rice krispie into the candy melts and lay on your prepared cookie sheet. Place any remaining melted candy in a piping bag or sandwich bag with the end clipped off. 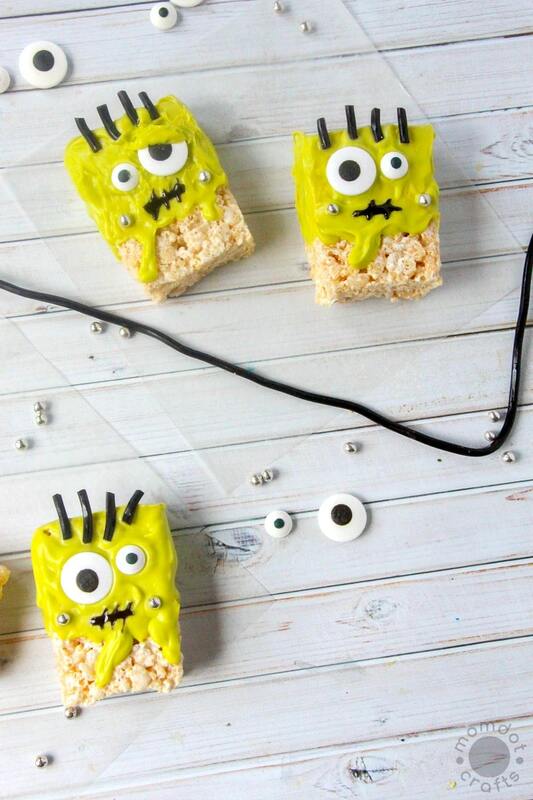 Carefully make “drips” of candy for a spooky effect. 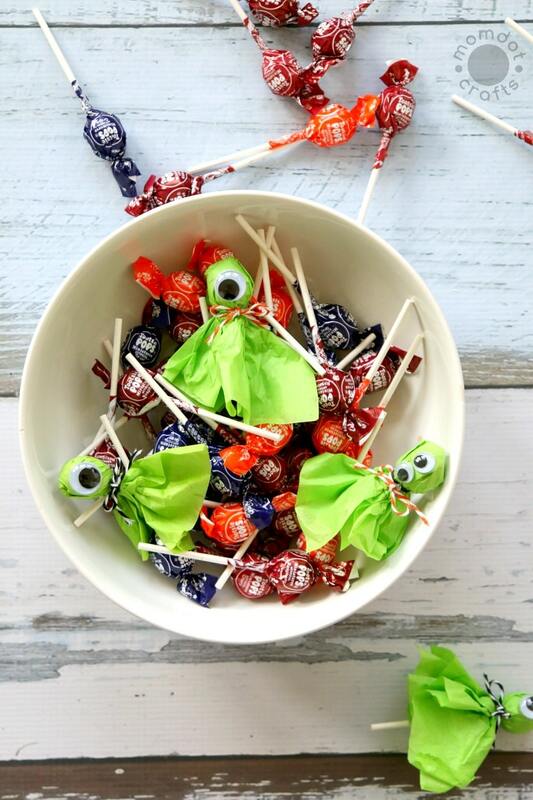 Attach the candy eyes , silver dragee “bolts”, and licorice “hair” while the candy is still wet. 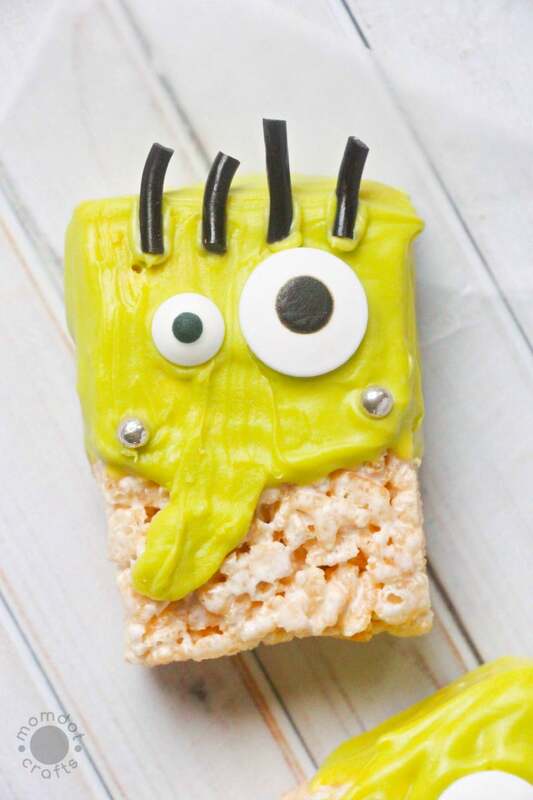 You can add the gel mouth whether the candy is dry or wet. Simply draw a line with the gel and then use a toothpick to pull the line to resemble stitches. Allow all candy and elements to set before serving. Love all things Halloween like I Do? Try these articles before you go! 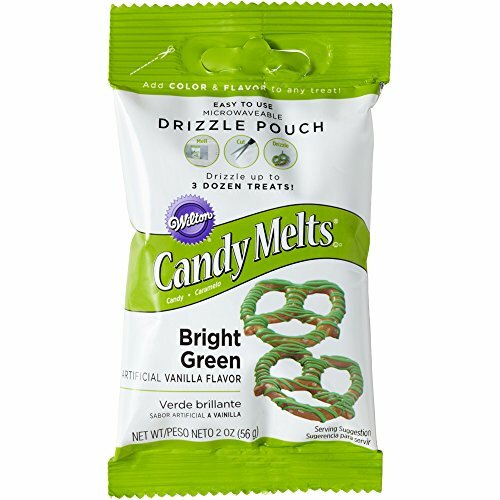 Place any remaining melted candy in a piping bag or sandwich bag with the end clipped off. 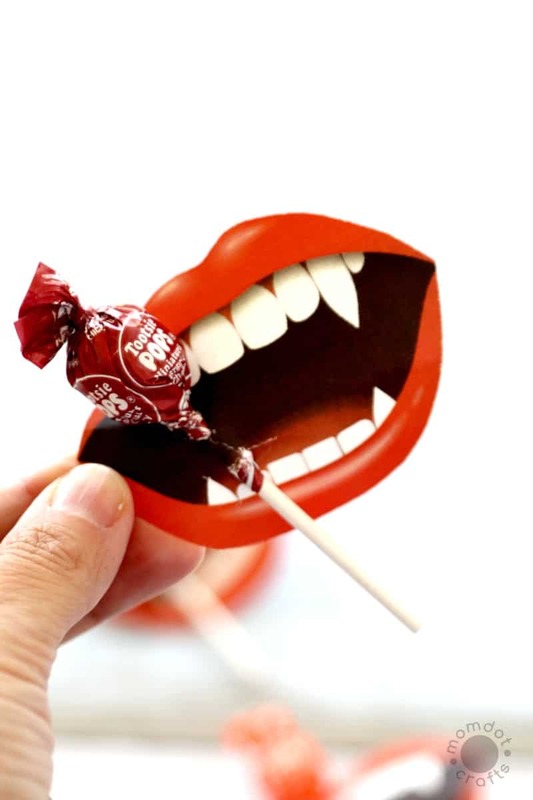 Carefully make "drips" of candy for a spooky effect. 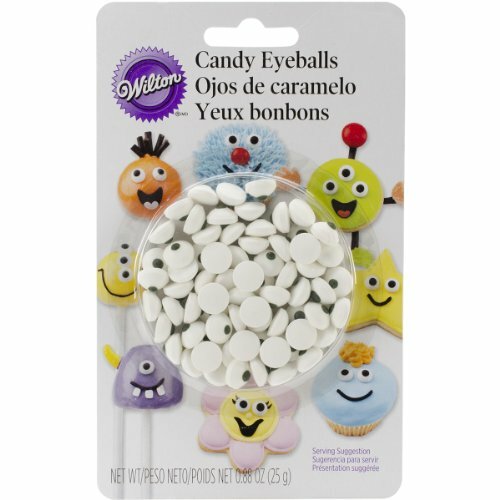 Attach the candy eyes, silver dragee "bolts", and licorice "hair" while the candy is still wet.